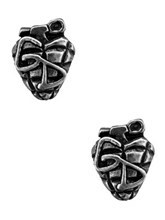 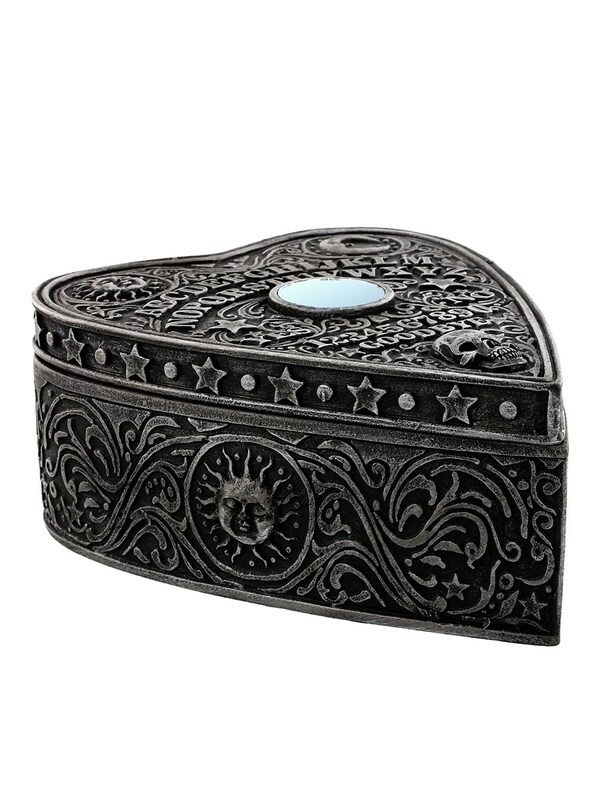 Store your deepest and darkest possessions or even thoughts and shut this box tight! 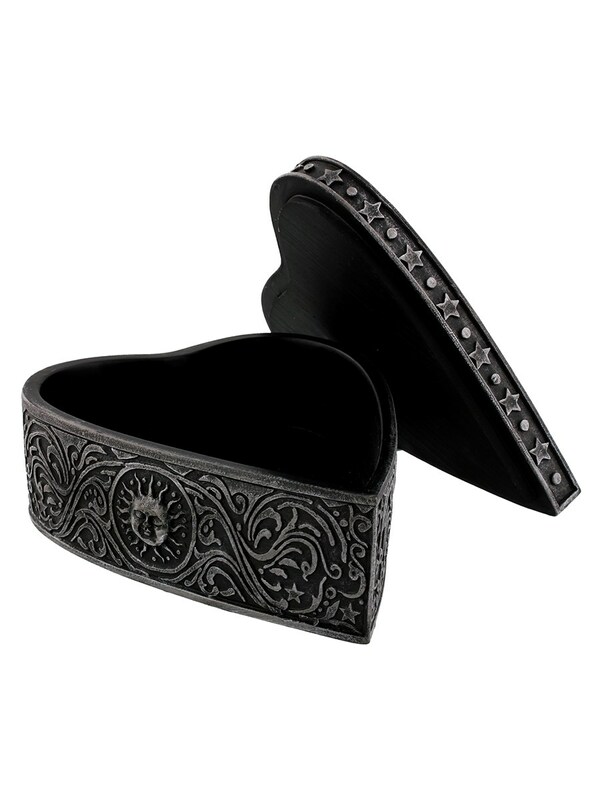 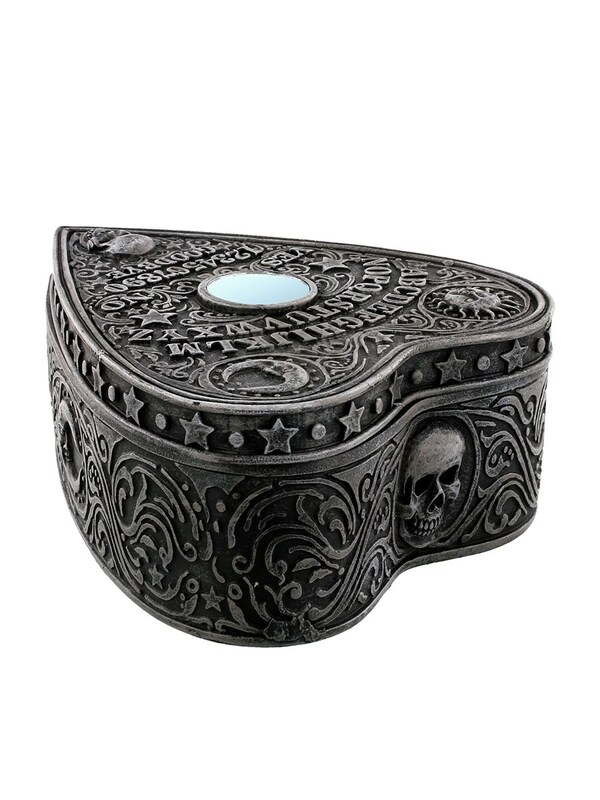 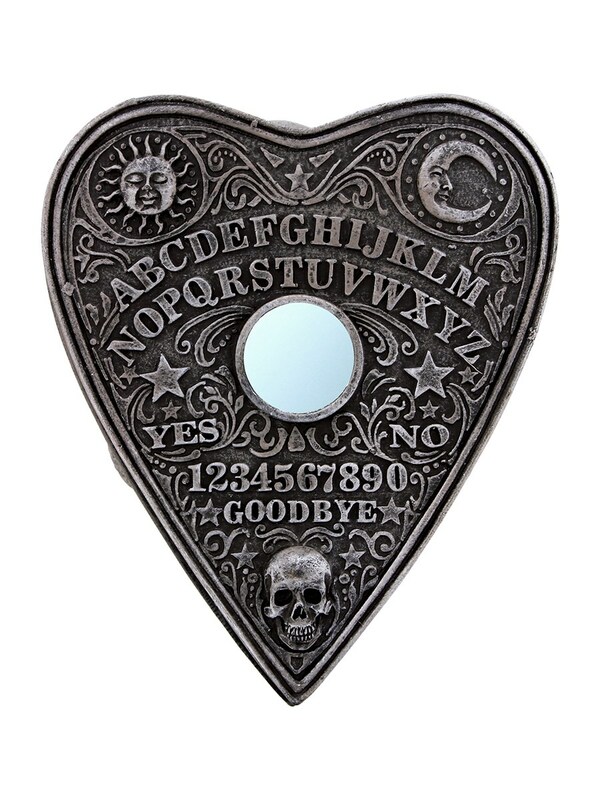 Keeping in the dark energy, this spirit board planchette shaped trinket box makes the ideal gift for any gothic girl or guy. 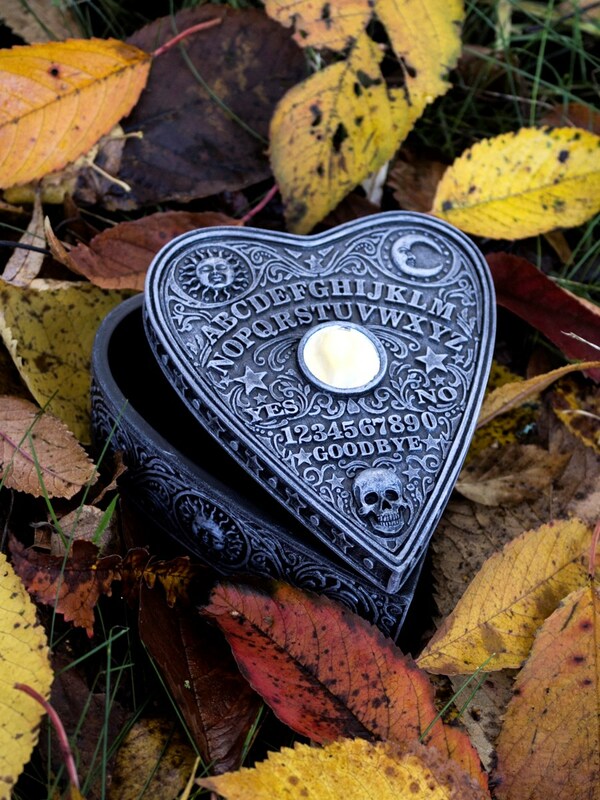 Beautifully decorated with Ouija letters, skulls and swirls, if you can handle the magic, you'll feel comfortable with this mystery vessel in your home!